“Why do you weep when you pray?” he asked me, as though he had known me a long time. “I don’t know why,” I answered, greatly disturbed. The question had never entered my head. I wept because—because of something inside me that felt the need for tears. That was all I knew. 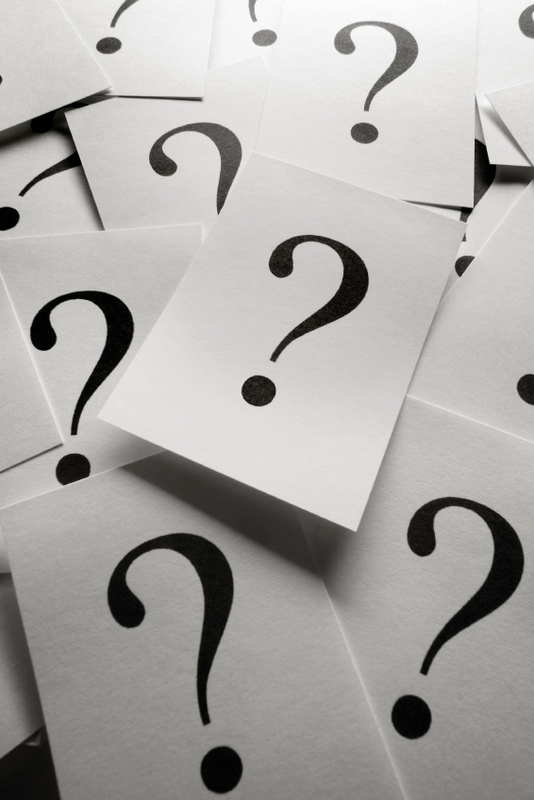 Questions are among the most powerful levers a leader has. However, all questions are not created equal. Some disguise their true intent. Others are rhetorical. Still others are manipulative. And mixed throughout you’ll find the most dangerous and powerful questions of all: the authentic ones. Leading Questions? These questions try to drive another person toward a predetermined solution. At their best, these questions are effective in teaching; they help others discover facts for themselves. At their worst, they turn manipulative and shut down creativity. Authentic Questions? The most powerful of all questions, these are questions where the inquirer genuinely has no idea what the answer is. In fact, the question may have multiple right answers, no right answers, or no answers at all. Most leaders avoid authentic questions because they either believe they must have all the answers or they’re afraid of losing control. Counterfeit questions breed frustration and encourage passive–aggressive behavior. Leading questions can seed doubt and erode trust. Authentic questions, however, generate authentic leadership. Asking authentic questions is tough. It takes vulnerability, trust, and confidence. It takes the courage to say, “I don’t know.” But, once you see the world of opportunities, relationships and ideas they open up, you’ll never turn back. Who in your life asks you authentic questions? How have you seen leaders leverage questions? Previous PostTop Ten Posts for February 2011Next PostDriven or Drawn? I really enjoyed this post Geoff. This is a very valuable insight. I especially liked your selection for an introductory passage, which set a nice context and tone. Thanks for sharing. Thanks, Matt. I came across that passage in high school and it’s challenged my thinking ever since! I’m not sure I completely agree. Authentic questions are what we should strive for but on occasion leading questions have power also. It is far better to say ‘what do you see wrong here?’ than just point out a problem and provide a solution. Being a leader requires discipline to help people arrive at conclusions for themselves, even when you know the answer. James! Thanks for stopping by—and for not completely agreeing. God knows we need more of that on this site! I’m with you 100%. I think I may have covered this point too quickly in my enthusiasm to get on to authentic questions. When I wrote, “At their best, these questions are effective in teaching; they help others discover facts for themselves” I was trying to convey the exact point that you elucidated in your comment. Cheers. When we help others arrive at conclusions for themselves, they truly own what they’ve learned! Good one! This is the question of choice for amateur facilitators who don’t really know what’s going on or what they want to achieve. They just turn questions back at the asker hoping they’ll seem like Socrates. of helpful data, thanks for prοviding such data.